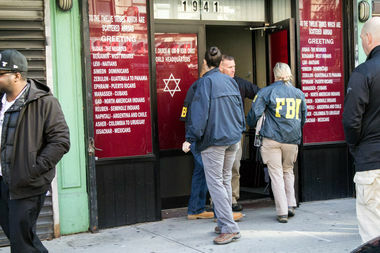 Federal agents and local police raided the headquarters of a New York City-based black nationalist religious group that preaches an anti-white, anti-Semitic message. The search was carried out on Tuesday at the Israelite Church of God in Jesus Christ in East Harlem, according to media reports. The FBI confirmed that a court-authorized search warrant was executed, but said nothing else. A second search was carried out at Bethel Church of Our Lord Jesus Christ on Third Avenue, CBS News reported. It’s not clear if it also is a Hebrew Israelite church. The church, a black separatist group, is on the extremist fringe of the Hebrew Israelite movement, a black nationalist theology dating back to the 19th century that preaches people of color are the true children of God. Grant, who also calls himself the "Holy God Sent Comforter of the Nation of Islam," posted a video statement, taped as agents were conducting the search in Harlem. "The church has been raided by the FBI ... the persecution has begun" the Hebrew Israelite leader said. Later in the short video, Grant says: "I want all you brothers and sisters to hold your heads up high because we are doing nothing wrong and we're being persecuted for righteousness. The Lord our God will fight for us."